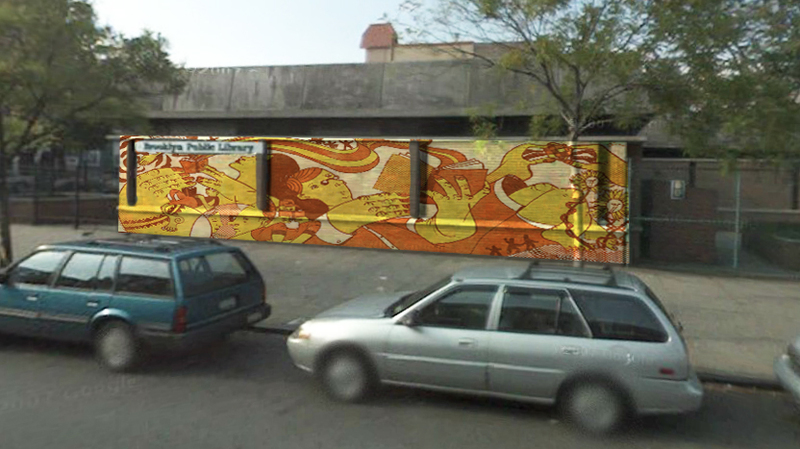 A few months ago I found out that The Friends Of The Greenpoint Library were having a competition to find a muralist to paint an exterior wall on the Greenpoint Library. This was my submission. Unfortunately, I didn’t make the cut, but I thought I’d share my submission with you! Congrats to Leslie Wood who took the win!